Plank Road Publishing is the BEST! Thank you for having the greatest customer service, along with the most wonderful children's music, in the whole world! I will always order from Plank Road Publishing first, given a real choice, because of its kindness to strangers. EXTREMELY HAPPY WITH YOUR PRODUCTS! I LOVE your company and your products. Excellent service is standard, and I can find fun, educational, and appropriate items for all of my students K-6. THANK YOU for providing great music at a great price! I cannot imagine teaching elementary music without the resources of this amazing publication. Great creativity and ideas for successful programming. I love Music K-8! You have THE best music supply company for schools that I have ever seen in my 20 years teaching. I am returning to teaching music after 11 years and could not wait to reconnect with Music K-8. You are a wonderful, creative resource. I am looking forward to using some of your new options, online [access] and PowerPoint [lyrics]! Thank you one and all! My deepest gratitude to each of you for sharing the bounteous wealth of talents you all possess. From the first days in high school choral and orchestral music, to music therapy instruction with special needs students, to the last 20+ years in elementary general music, Music K-8 has provided some of the best experiences with my students. Although I've never been one for Internet chat rooms and the like, I truly "sang your praises" at every non-cyberspace opportunity. 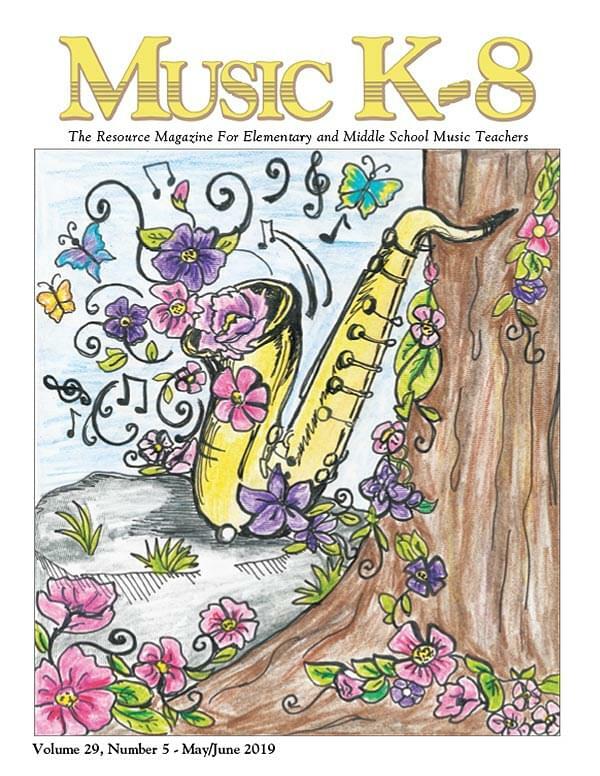 Your wonderful Music K-8 magazine has been joyfully uplifting, inspiring, and so encouraging to me these past many, many years! I have been a subscriber for years. I appreciate your integrity and the character-building aspects of your writing. All your materials are very helpful and enjoyable. Thanks for all the great music and ideas! My teaching year is filled with Music K-8. Your selections help keep lessons fresh, new, and exciting for the students. Thank you for creating such wonderful resources year after year! Music K-8 is the first thing I spend my budget money on each year. Can't imagine teaching without it. Thanks for making a great product. I look forward to seeing what comes next! Thank you so much for all that you do! You make my job so much easier! You all are so amazing! I just love all your products. Your music is always relevant and timely. Thank you for an absolutely AWESOME product. I can't imagine teaching without your resource. Music K-8 is the first thing I put on my budget each year. [...] It helps me current! My parents love the different songs that "tug on the heartstrings!” Every time I have called about anything, customer service has been so helpful! [...] You feel like part of the family!